One of two riggers coordinating the positioning of equipment was injured when the crane lowering it nicked the edge of the roof hole and the rigging on one of the holding points failed, trapping the rigger between the equipment and the resting platform. 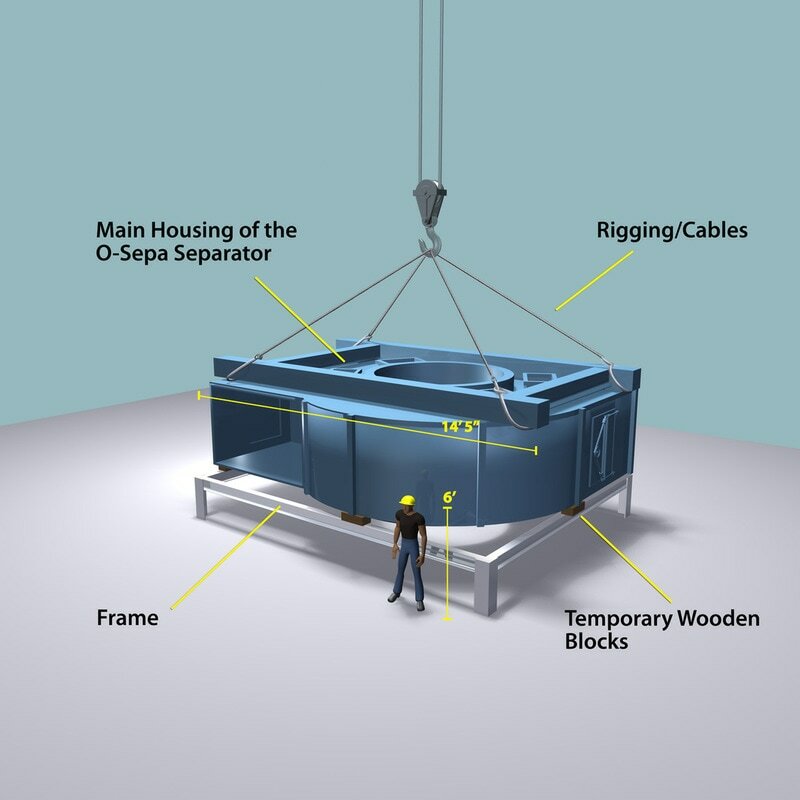 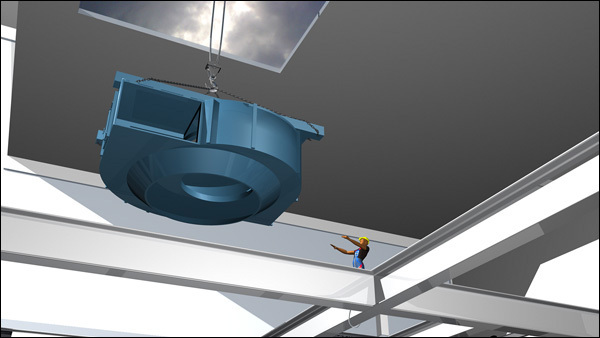 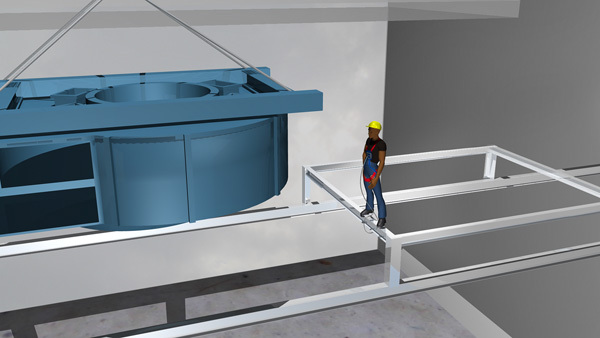 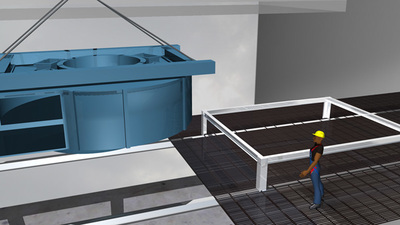 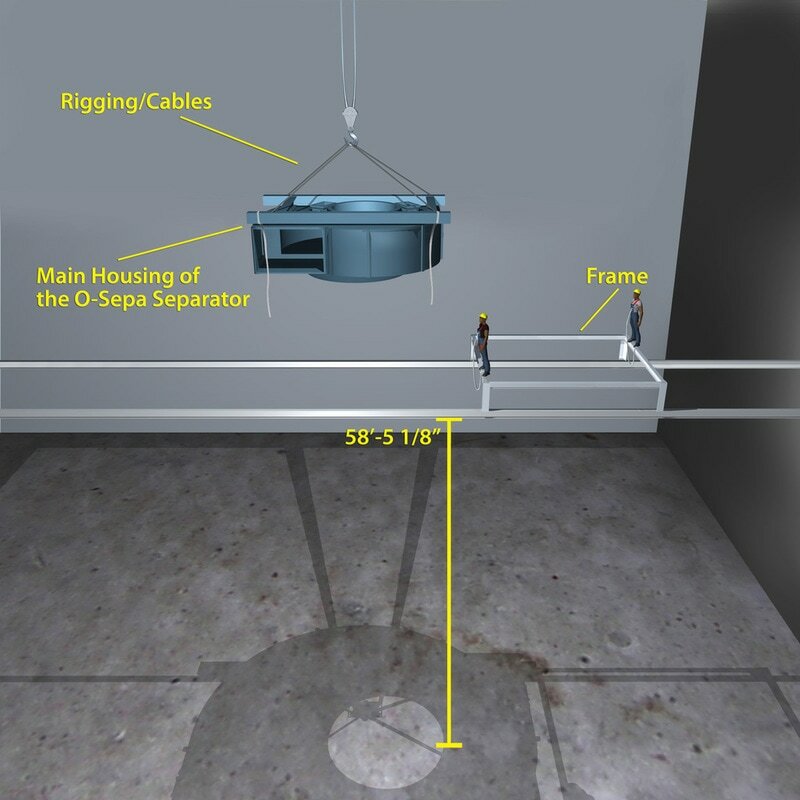 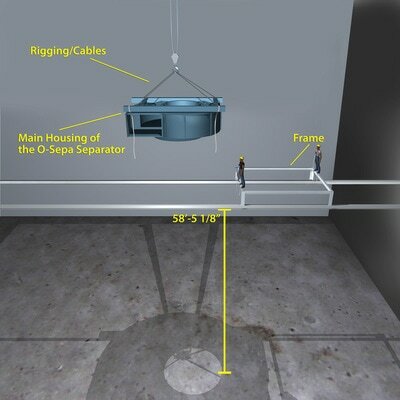 3D still images captured the dangerous nature of the installation and showed preventive steps that should have been taken to ensure the rigger's safety, complementing an expert's opinion. 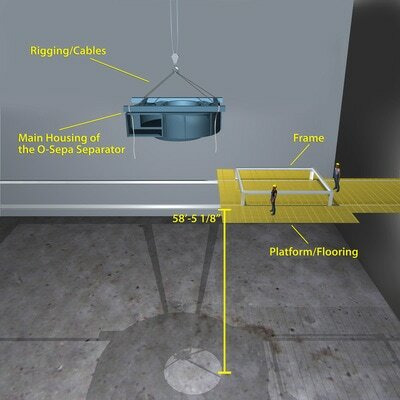 By showing the proper grated floor's position according to the installation plans, one could see how much safer the worker would have been if proper procedures had been followed.